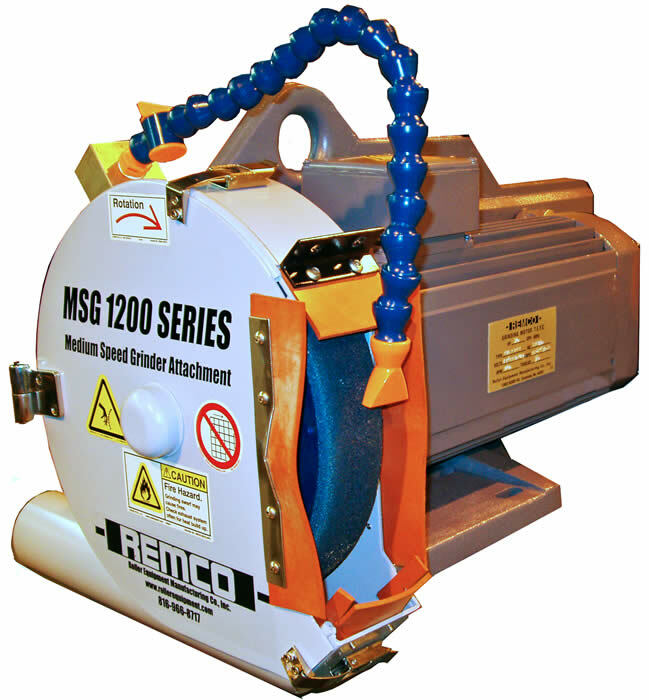 The MSG 1200 Series Grinding Head can be adapted to almost any lathe or grinder to produce precision ground finishes. 3600 rpm standard wheel speed @ 60 Hz. 12" (305mm) diameter abrasive coated metal wheel. Variable speed to 5400 rpm by using an optional frequency inverter. Standard electrical requirement 230/380/460 volt, 3 phase, 50/60 Hz. - Front or rear mounted. - 3 HP/2.2kW AC motor, 3600/3000 RPM @ 60/50 Hz. - Motor starter with low voltage trip. - Equipped for 10”/254mm customer-supplied abrasive wheel. - Suitable for dry grinding only. - Cast & machined aluminum mounting frame. - 5 HP/3.7kW 3600/3000 RPM AC motor @ 60/50 Hz. 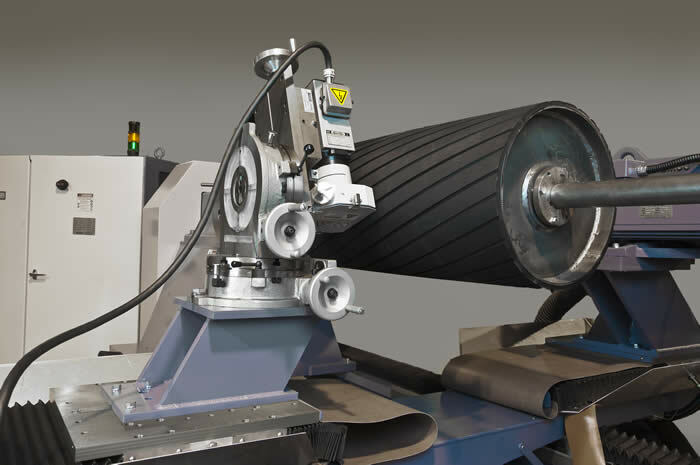 - Equipped for 12”/304.8mm customer-supplied abrasive wheel. - Grinder wheel guard with 3"/76.2mm exhaust port. - 10 HP/7.5kW 3600/3000 RPM AC motor @ 60/50 Hz. - 15 HP/11.2kW 3600/3000 RPM AC motor @ 60/50 Hz. - Grinder wheel guard with 3" exhaust port.